Const. 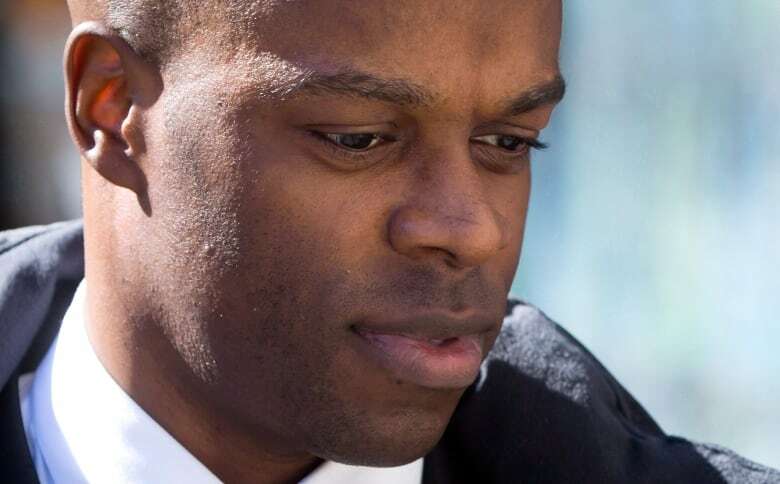 Kwesi Millington, the RCMP officer who Tasered Robert Dziekanski the night he died at Vancouver's airport, has been sentenced for perjury but released on bail. Const. Kwesi Millington, the RCMP officer who fired a Taser the night Robert Dziekanski died at Vancouver International Airport, has been sentenced to 30 months in prison for perjury and colluding with his fellow officers at an inquiry into the death. That's a longer sentence than Dziekanski's mother said she had hoped for. 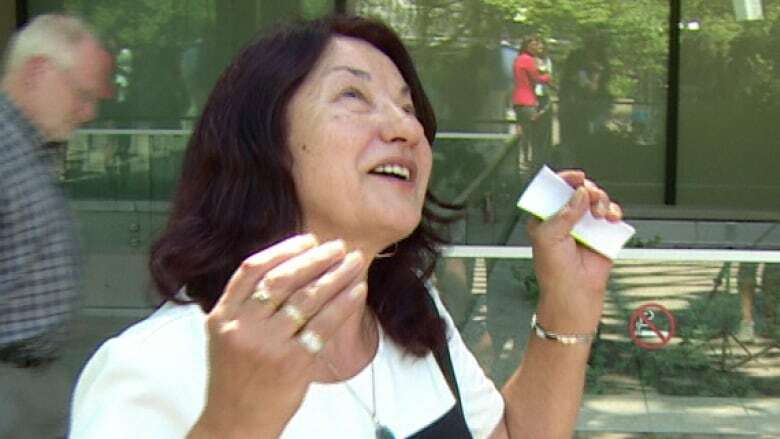 "It is some justice finally, after almost eight years," said Zofia Cisowski, who was in tears as the judge read his sentence. She had wanted Millington to serve at least two years. "I am so happy and I am so nervous … I could jump to the sky." Millington has been granted bail pending the appeal of his sentence. 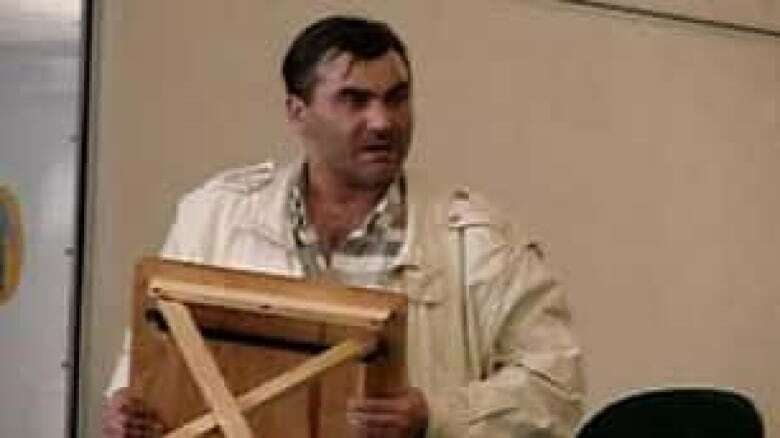 Dziekanski was Tasered by RCMP multiple times at Vancouver airport in 2007, after four officers responded to reports of a man throwing furniture. All four officers were charged with perjury following the inquiry into Dziekanski's death, for testimony inquiry commissioner Thomas Braidwood called "patently unbelievable." Millington and former RCMP corporal Monty Robinson were convicted of perjury; the other officers, Const. Bill Bentley and Const. Gerry Rundel, were acquitted. B.C. Supreme Court Judge William Ehrcke said the sentence was on the higher end of recommendations, because Millington's lies "stood in the way of getting a true explanation" at the inquiry. He had earlier said it was "preposterous" for Millington to claim Dziekanski was standing while he Tasered him a second time, when it's clear from bystander video the Polish immigrant was already on the ground. Ehrcke considered the Crown's recommendation of a sentence up to 36 months, he said, but opted for 30 in part because of the difficulties a police officer would face in prison. The judge dismissed the defence's request for a conditional sentence without jail time. "While I have no doubt the accused is sad about the death, that is not the same as remorseful," said Ehrcke. Millington, whose imprisonment was to begin immediately, was quietly shown the door to the holding area, escorted at a distance by the sheriff without handcuffs. His lawyers are appealing his conviction and are expected to appeal his sentence. Later Monday a different judge granted him bail pending that appeal. Cisowski, who was aware of the appeal, is hopeful the prison sentence will stand. "I admire this judge about his decision," she said. "[Millington] Tasered my son five times. He lied about [it] and covered it up."